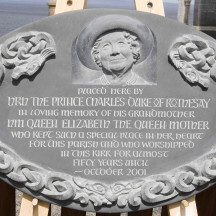 Memorial to HM The Queen Mother, commissioned by HRH The Prince of Wales. 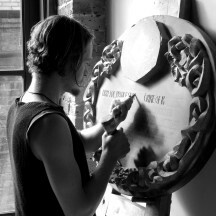 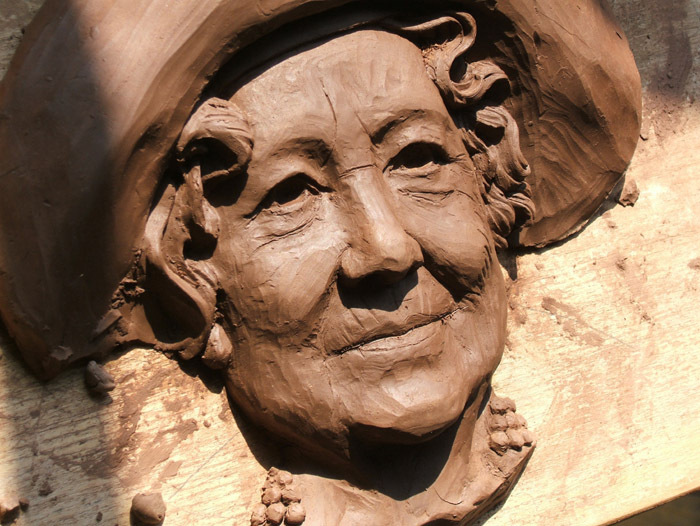 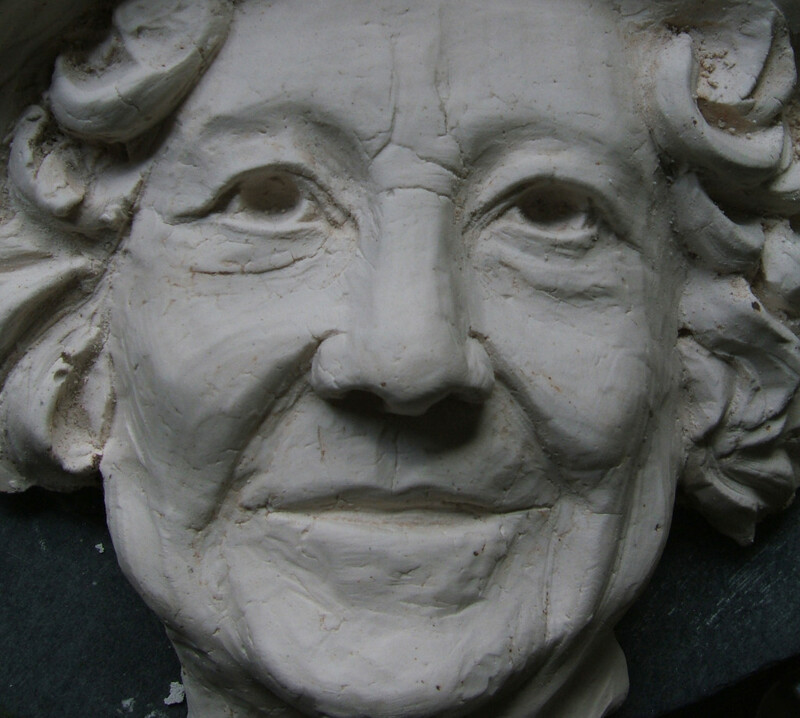 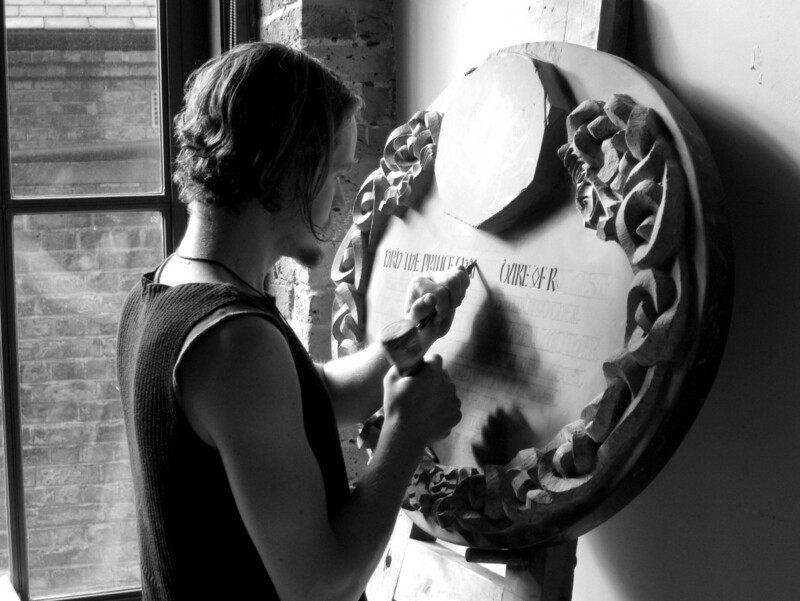 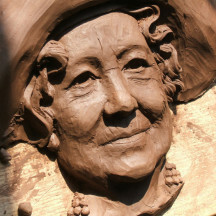 The Prince commissioned sculptor Adam Williamson to carve the personal tribute to her memory. 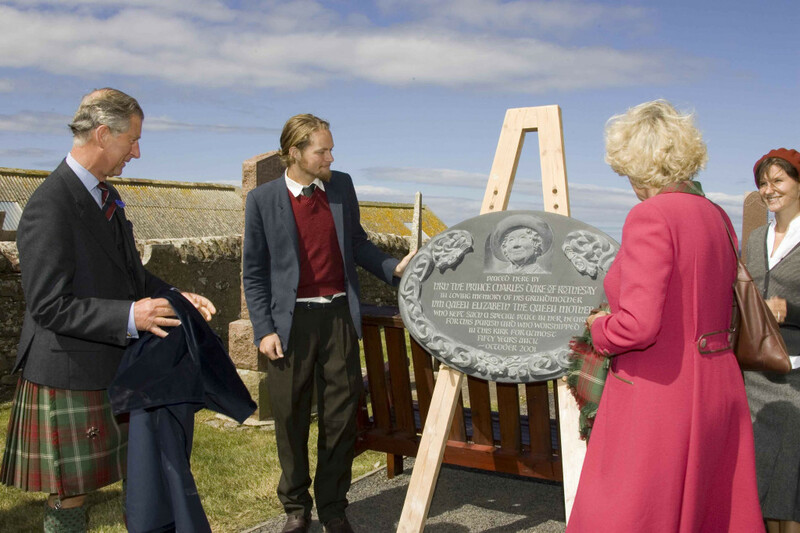 On Saturday 5 August 2006 the creation was officially unveiled to applause from spectators. 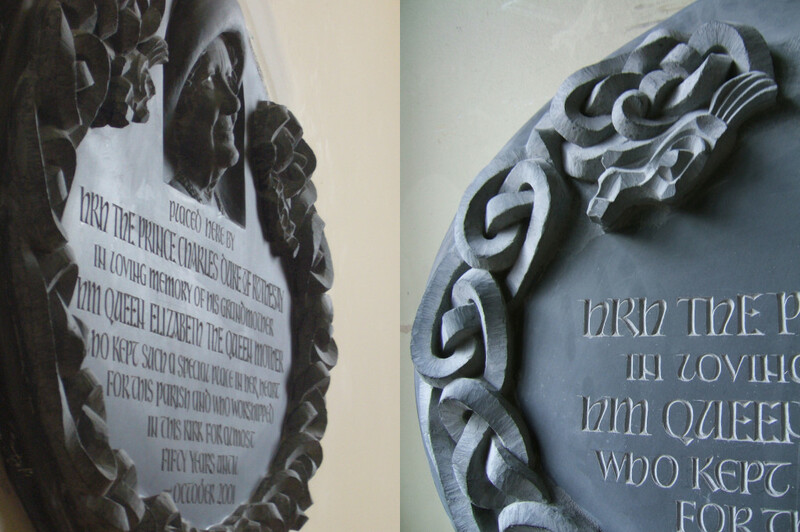 The memorial was carved from a single piece of burlington slate and includes an intricately weaving knot-work boarder and an inscription written by The Duke and a likeness of The Queen Mother. 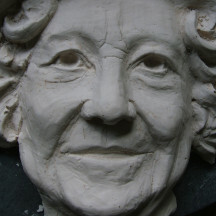 The Queen Mother died in March 2002, at the age of 101. 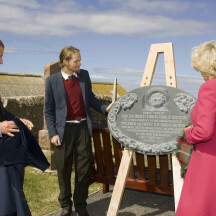 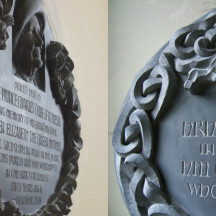 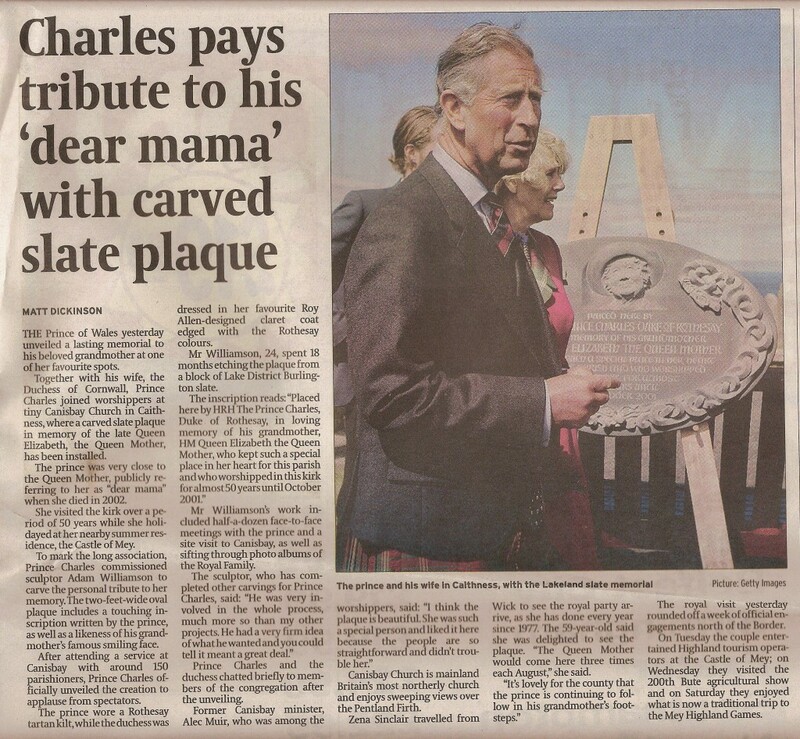 This oval plaque commemorates her long friendship with the community of Canisbury near the Castle of Mey one of the Queen Mother’s favorite retreats. 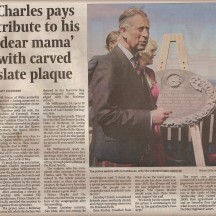 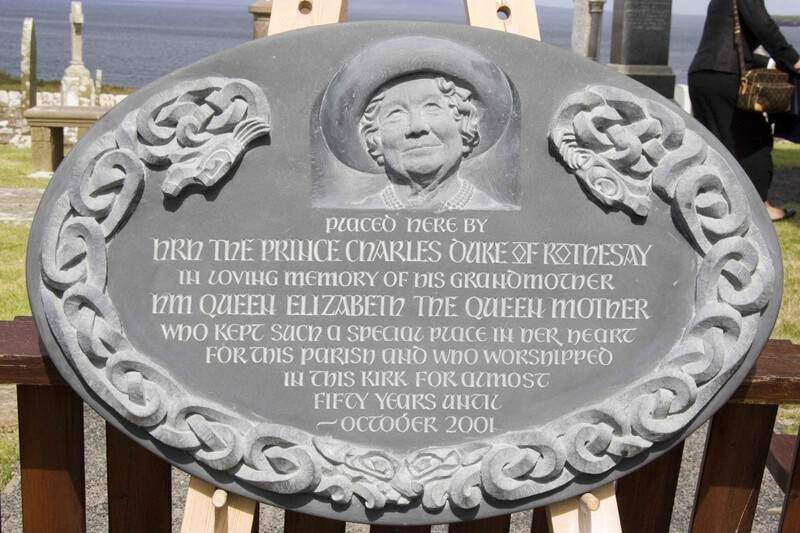 The slate memorial is installed at the church in Canisbay, where the Queen Mother used to worship.